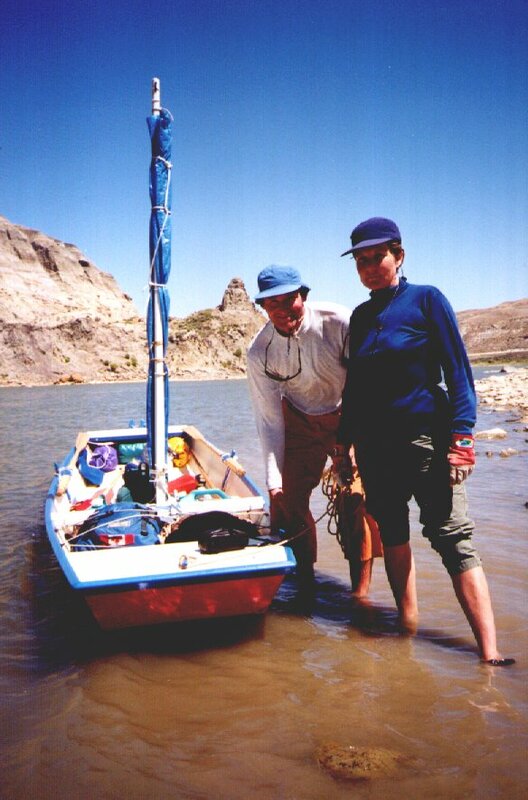 Sylvia Harron, me, and the oar-powered punt Ambrose Jane at the put-in on the Bow River, Medicine Hat, Alberta. July 2, 2000. Stormbound! : What’s all the fuss? City slickers : Ahh, luxury! Into the wild : The river goes nuts! The big push : This is it! Battle of Cedar Lake : Stroke! Stroke! This site was originally created in Feb, 2001. Reposted here July 2013.